The WEC featherweight champion, Jose Aldo, already got a new contender. Can Mark Hominick prove to the fans that he deserves the title? The audience are really in for a powerful 2011! The WEC featherweight champion, Jose Aldo, seems to have lined up his next challenger. 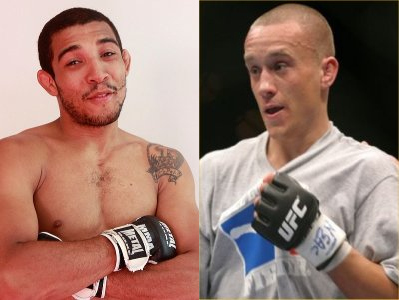 Aldo pointed out Mark Hominick as his likely opponent, perhaps as soon as January. Hominick will bring in a four-fight winning streak to his next appearance against the champ. He recently earned a split decision victory over Leonard Garcia at WEC 51. In addition to that, Hominick was also able to win a fight versus Yves Jabouin, Savant Young and Bryan Caraway. Carrying 19 victories in his record, Hominick has proved to be an adept fighter both on stand and on ground. Jose Aldo, on the other hand, has a clean record by winning all of his 11 fights. He has notable wins over Manny Gamburyan, Urijah Faber, Mike Thomas Brown, Cub Swanson, Jonathan Brookins and Alexandre Franca Nogueira. With an Aldo vs Hominick title bout penciled for January, WEC will definitely have a good fight to start the year.